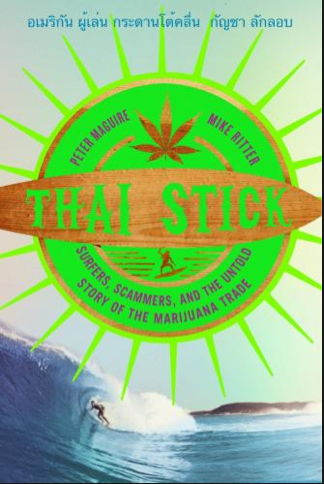 EDITOR’S NOTE: Points welcomes historian Peter Maguire, author of Thai Stick: Surfers, Scammers, and the Untold History of the Marijuana Trade (Columbia University Press, 2013), co-written with Mike Ritter and featuring a foreward by David Farber. I would say that it’s the first serious and scholarly history of the marijuana trade. I’m an historian: I’ve written scholarly books on the Nuremberg Trials and the Khmer Rouge and very serious subjects. But I grew up around the marijuana trade and around smugglers. So I applied the same scholarly methods to a different subject that, up to this point, has been treated very lightly. I think that they would find the relationship between smugglers and the DEA much less adversarial than they imagined. Instead of the usual narrative of cops-and-robbers, the tale is one of mutual self-respect. The DEA respects the smugglers and their organizational skills, particularly later on when they are moving 20 tons of marijuana across the Pacific. That’s no stoned, disorganized, hippie operation anymore. For the smugglers, their view of the DEA is that the agents were just doing their job. One DEA agent in particular, James Conklin, who is one of the stars of the book, really seems to be respected by all. And I think in light of changes in American drug law and policy, this book is particularly salient. It’s one thing to legalize marijuana, but what about the people who were impacted by drug convictions for minimal amounts of marijuana? I’m almost to the point now where I feel like there needs to be some kind of reparations for the War on Drugs, particularly marijuana. 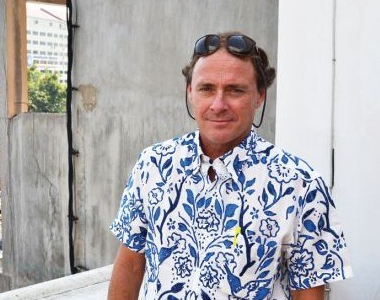 The response from both smugglers and DEA agents, and how they’ve both embraced the book. That’s been the most gratifying part for me as an historian. I’d be a liar to say that my sympathies don’t lie with the smugglers, because that’s the community that I grew up on the fringes of. However, both sides have really embraced it, and this is only the first half of the story. This book ends in 1983; the second book will be from 1983 to the 1990s. I’ve had smugglers and DEA agents calling me and offering to be interviewed for the second book. Really, I’m a legal historian. All the tales of derring-do and the trade got handled in the first book. What I want to look at in the second book is what I call the casino judicial system where there are few trials and this very unscientific horse trading that goes on between US attorneys, smugglers, and informants. Rewarding informants in very suspect ways has, I think, perverted the judicial system. I plan to take a long, hard look at that the same way I looked at the Nuremberg Trials. That’s a good question! You know, probably me! Because I interviewed everyone. And the economy being what it is, it probably will wind up being me. Enjoyed reading Thai Stick recently. The depth and detail of individual lives made it a fast and interesting read. Left me wishing my subjects were still alive to tell their story! Looking forward to part two, Peter. Well done.